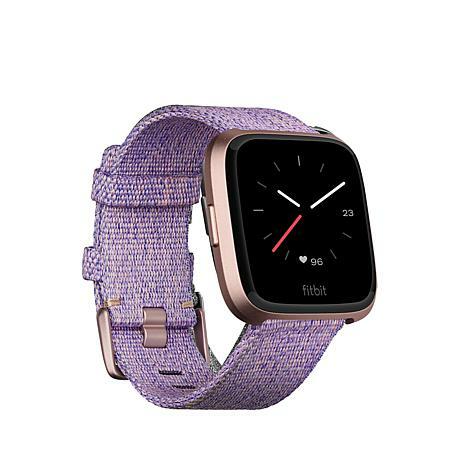 Work your way to a better you with this special edition of the Fitbit Versa. It uses personalized insights, music and goal-tracking to ensure you stay on track with your recommended daily activities. 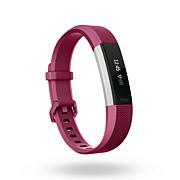 It automatically tracks selected exercises and provides feedback on steps, heart rate, distance, calories burned and more. The stylish and comfortable woven band even keeps pace with your cool and comfortable style. The Fitbit Versa does everything I need. The charge last for several days. 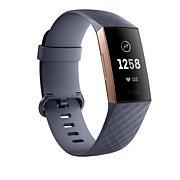 I love my new Fitbit Versa, easy to use and love the large screen!! Battery usage is great and love all the apps and choices you have when selecting the clock view! 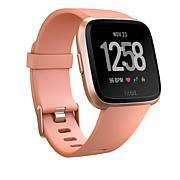 This fitbit versa has a bold face, I like that, it's easy to see the clock & the colors are very lovely. I chose rose gold & lavender band.I charge it about every 4 to 5 days. Decided to move up to a smart watch from a fitness tracker. 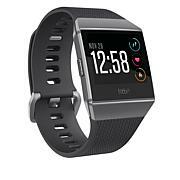 Tried 3 different brands of smart watches; two with phone answering capabilities and one with just notification ability. All 3 tracked fitness, but none nearly as well as the Versa special edition. None of the 3 had batteries that lasted even 1 day. Love that I can get close to 4 days before I have to charge it. Really in-depth fitness reports. Love the NFC and music. Not hard to download music from Deezer. Couldn't be happier. It is exactly as described. I have a Samsung Note 9 and have no problems with compatibility. It motivates me to be active, I get my text messages and phone call alerts. Still learning so many features but I give it a 5 thumbs up. Ordered one for my boyfriend.